Braised sirloin tips with garlic mashed potatoes is comfort food at its best. 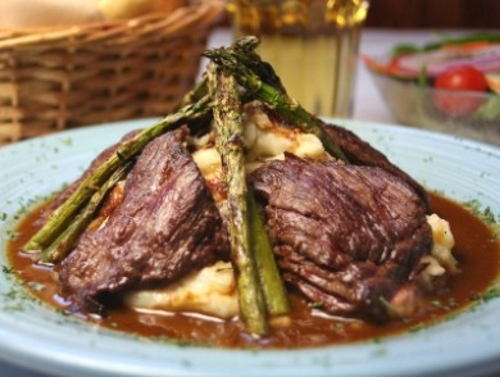 Tender cuts of beef smothered with a rich, flavorful gravy, is no doubt one of our favorite recipes. Enjoy! Mangia Italiano! There’s nothing better than Braised Sirloin Tips with garlic mashed potatoes. This tender, juicy sirloin served with a rich gravy is as comforting as it gets.